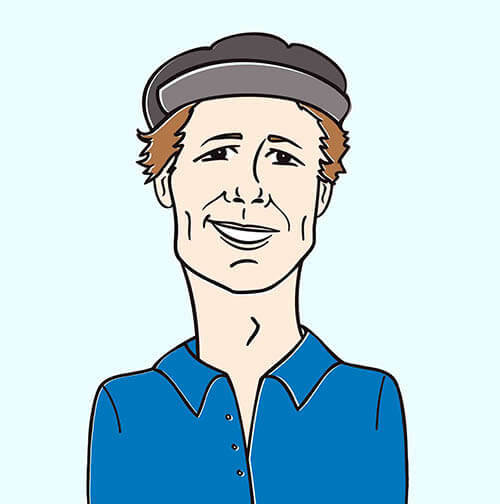 Todd Mosby’s goal as an artist is to present new audiences a hybrid form of fusion music which offers the highest musical standards, connects with listeners and even change lives. 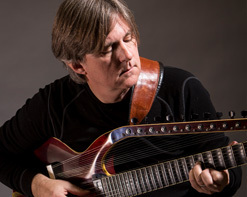 The Saint Louis-based musician is a groundbreaking guitarist, composer and improviser who creates an enthralling blend of New Age, Jazz, Folk and world music. The relaxing, deeply powerful “Western Sky” is the perfect showcase of his immense musical talent. With Lola Toben on vocals, this track will transport listeners onto a voyage across a thousand seas, backed by an impressive melodic backdrop. Mosby made history as being the only guitarist to become a member of the famed Imdad Khani Gharana, India’s royal family of sitar musicians with an unbroken chain dating back 500 years. He is not only a melodic craftsman of music, but a physical craftsman as well. His thorough immersion into Indian music has helped him co-create a new instrument, the Imrat guitar, so that he’d possess the ability to access the carnal melodies of Indian music. Schooled in composition, guitar and improvisation from Berklee College of Music, Todd Mosby also possesses a unique talent for performing, delivering a concert that engages audiences through a transformative musical expedition. Having headlined local jazz festivals, Todd Mosby is considered one of the finest jazz guitarist in Saint Louis. Mastering multiple musical forms such as Classical, Jazz and Indian Raga, Todd Mosby’s works are both highly imaginative and intelligent. At present, Todd Mosby has been voted one of the top guitarists by the STL River Front Times readers’ poll. He is also a two-time 2016 Global Music Award recipient, was on the 2016 Grammy ballot in 3 categories and has been touring his new CD release, “On Eagle Mountain,” (produced by Windham Hill Records founder, Will Ackerman) , which entered at number 3 on the world wide ZMR charts. Mosby’s touring group “ Todd Mosby New Horizons Ensemble” features Todd Mosby guitar/vocal, Lola Toben piano/vocals, Bryan Toben guitar/vocals, Michael Manring fretless bass, Jeff Haynes percussion, Premik Tubbs woodwinds. He has also performed concerts with the likes of Michael Manring, Imrat Khan, Shafaat Khan and Milton Hinton, among others and has opened for The Rippingtons, Michael Franks, SpyroGyra, and Chris Bonti. Recorded at the Shea Theater in Turner Falls, MA, this choice of venue for the video allows viewers to get the full musical experience, soaking in the guitar and bass riffs as well as the sizzling percussion, soothing soprano saxophone and the whispering cadences of the guitar, piano and arresting vocals by the talented Lola Toben. The video for “Western Sky” showcases each and every instrumentalists’ aptitudes and helps viewers find peace within their thoughts and imagination. The hints of Indian music as well as the infusion of jazz and western stylings is played expressively and without fault. The pure musical expressionism that can only be formed through a musician’s candid performance will capture the ears and hearts of viewers. We are very excited to bring you this musical delight. This sonic change of pace has blown us away and we hope it will do the same for programmers. We believe programmers will be as eager to embrace this video and message as much as we have. Please contact Andy Gesner and the HIP Video Promo team at (732)-613-1779 or email us at info@HIPVideoPromo.com. You can also visit www.ToddMosbyMusic.com for more info on Todd Mosby New Horizons Ensemble.